I am looking for a good recipe for zucchini and potato curry. I am trying to find something that is tasty, but doesn't have the tomato as I find the tomato can make the curry bitter. If you have any recipes, please leave me a comment. I will be in search of a protein packed Dosa so if you know of anything I can try to make my Dosa with protein, you know what to do? 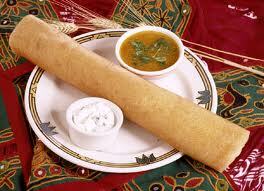 What is a good substitute for the rice in the dosa that is high protein?